Jazz has long been a favored tool of the U.S. State Department: Duke Ellington, Dizzy Gillespie, Dave Brubeck, and Louis Armstrong, among many others, have gone abroad in a sanctioned ambassadorial role. Naturally, some of them have been inspired by their travels; Ellington created his famous Far East Suite following one such excursion. Last year local reedist Geof Bradfield visited Africa under the auspices of a program called Rhythm Road, put together by the State Department and Jazz at Lincoln Center. Bradfield hit Rwanda, Congo, Uganda, Zimbabwe, and Kenya—as a member of pianist Ryan Cohan’s band. Though he'd long been a fan of African music, hearing it its native environs energized him, and after landing a Chamber Music America grant he decided to compose a suite inspired by the experience. Last night he premiered the new work, African Flowers, at the Kerrytown Concert House in Ann Arbor, and tomorrow (Saturday, October 10) he reconvenes the sextet for a free 2 PM concert at the Claudia Cassidy Theater at the Chicago Cultural Center. 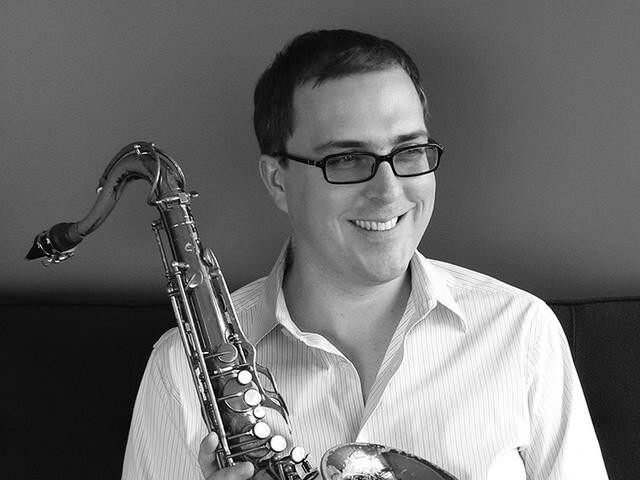 Bradfield is a wonderfully flexible saxophonist who earns his living mainly as an educator at Columbia College and as a sideman, working regularly in Ted Sirota’s Rebel Souls, Cohan’s quartet, and with pianist Dan Cray. Last year he released his second recording as a leader, a mainstream quartet outing called Urban Nomad (Origin) with pianist Ron Perrillo, drummer George Fludas, and bassist Clark Sommers. The album showcases Bradfield’s fluency in hard bop, both as a composer and as an improviser, but with the exception of the fiery “Chin Check” it doesn't much feature his skill in navigating more abstract turf—which he puts to good use in his work with Sirota and on his own killer 2003 debut, Rule of Three (Liberated Zone). Bradfield was kind enough to e-mail me a recording of last night’s concert, and while I obviously haven’t had time to meaningfully absorb the ten-part work, my one listen so far has left me impressed. He gracefully and precisely leads a superb sextet—with Fludas, Cohan, Sommers, guitarist Jeff Parker, and trumpeter Victor Garcia—through pieces characterized by lush, elegant melody lines and streaked with contrapuntal figures and pretty harmonies. Bradfield hasn’t undertaken an ethnographic experiment here—like the Ellington work I mentioned above, what he saw and heard functioned as an inspiration for ideas in his own idiom. The group will record African Flowers in a studio next week for release on Origin.